According to the Beverage Marketing Corporation packaged water will continue to be a high demand product preference for consumers (BevNet.com, 2015). Evian and Fiji luxury water brands are in a push to raise up their social media marketing engagement. They each strive to package their waters with environmentally friendly bottles and give back to their respective foundations. What about brand engagement for both companies? What company is socially engaging with customers through real-time marketing with high accolades for brand advocates (Solis, 2010)? The answer is both companies. Each brand is reaching high to integrate real-time media marketing with social strategies. Let us look back on a fantastic social media campaign for the French based company Evian, reaching out to customers for their on-demand bottle service. In 2014, Evian a major sponsor of the U.S. Open Tennis Match in Queens, NY, energizes their Twitter followers by deploying their brand ambassadors to deliver bottled water via zip code locations (Johnson, 2014). They started a social media buzz right before the campaign and the number of new followers accelerated. The Evian YouTube video shows us a great example of solid exchange from person to person (p2p). A blend of both real-time and social media tactics offer Evian a strong competitive advantage. For the analytical outcome for the campaign, Evian presents a 3-5 times more daily mentions, 2.8 million impressions and 75,000 engagement on Twitter (Johnson, 2014). Now let us explore the brand Fiji. 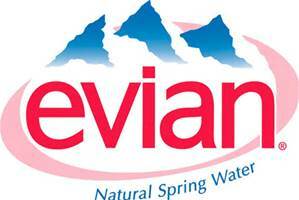 The iconic Los Angeles based company is a fierce competitor to Evian looking to harness an aggressive media plan. First, they design a hibiscus flower in their labels to offer a more vibrant packaging. The strategy promotes their brand utilizing their first time ever, television ad in synergy with their social media channels. These tactics are deployed in 2015 as Fiji budgets a $30 million television campaign called”Untouched” (Lukovitz, 2015). The marketing objectives harness both mass media and social media networks such as Twitter and Facebook with 15-second ads. The hashtag is called #EarthsFinest reinforcing their brand identity going back to their origins as a highly pure source of water (Buss, 2015). 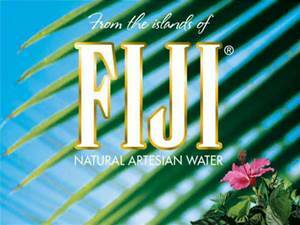 Fiji is successful in their campaign efforts by utilizing the marketing artifact for storytelling to grow brand engagement. If we review what market differentiation covers, the company brand works to build a unique presence in their specific industry. The beverage market is all about what is trending for tastes and preferences for what the customer wants. From the research presented, Fiji is gaining ground within Twitter. What works for Evian is their global reach as they are popular in certain parts of the world. Fiji is now differentiating to push barriers to entry by gaining a larger share of the market for full media coverage with social channels. This is highly attractive for their brand. However, it appears that both luxury water products are close in tactical company engagement campaigns. Each are curating their marketing magic and time and traffic will play out the ranking. Just some analytics for this new year, the Evian Twitter account indicates 39.5k tweets and 28.5 followers compared to Fiji Twitter account indicating 43.k tweets, 36.5k followers (Twitter & Facebook, Evian, Fiji, 2016). The blending of both mass media and social media channels is a win-win for both brands. Fiji ad campaigns are gaining some respectable numbers. The brand looks to grow more social popularity as they continue to integrate their marketing channels. Evian is highly social and have been on the right track forging forward with the real-time interactions. Evian grows their cultural preferences with millennials. To grow more followers, Evian now offers real-time community water service at transportation centers in London. Both companies are in a quest to stay competitive in the ever challenging beverage industry sector. A continued review of all digital assets that are trending is a high value proposition for their profitability. Evian image credits. (2016, January 3). [Photo images].